Whenever I think about authentic Italian cuisine and pizza, Amici always comes first to my mind. I love their food selections from appetizers, salads, steaks, pasta, pizza and of course, Cara Mia cakes and gelato for desserts. 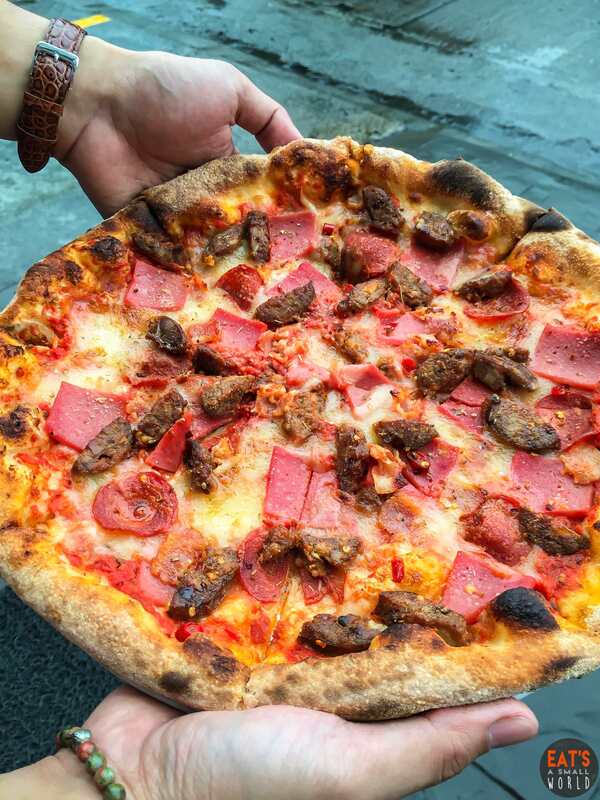 Today, I am glad to share with you my new discovery: four new pizza creations made by Chef Paolo Moran and I must admit, it’s really hard to pick a new favorite. They’re all so irresistible! First, we had these appetizers while waiting for our pizza to arrive. 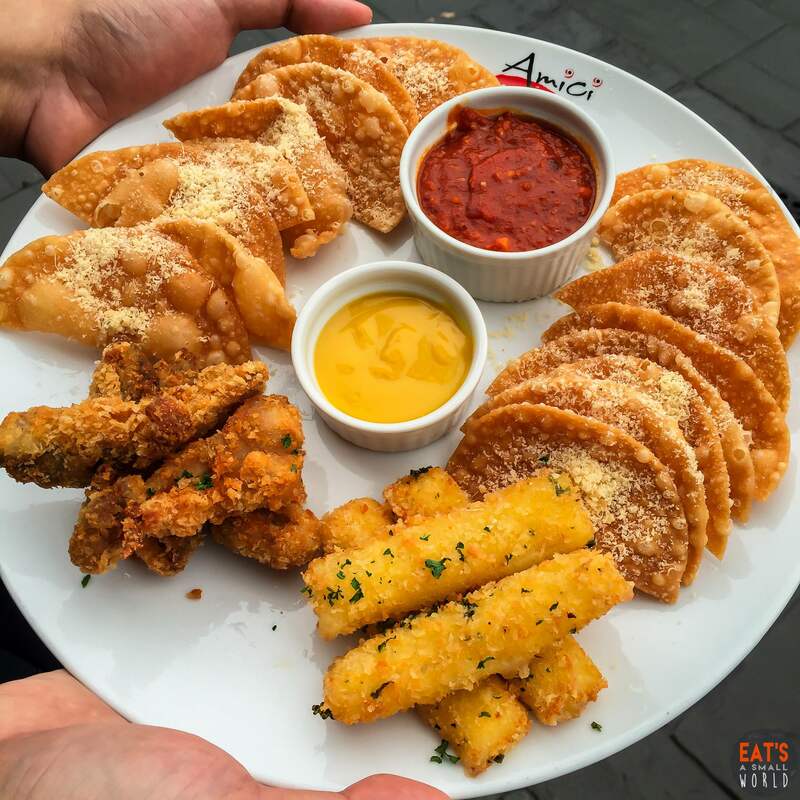 The platter has mozarella fritto (sticks), chicken tenders and deep fried italian chips on it. It also came with pomodoro and honey mustard dips. I personally like the pomodoro one because it blended perfectly with almost all the treats. So tangy and tasty! We Filipinos love the idea of having “everything” in one plate. Actually, it’s the first thing that comes to my mind whenever I keep coming back to buffet / eat-all-you-can restaurants. 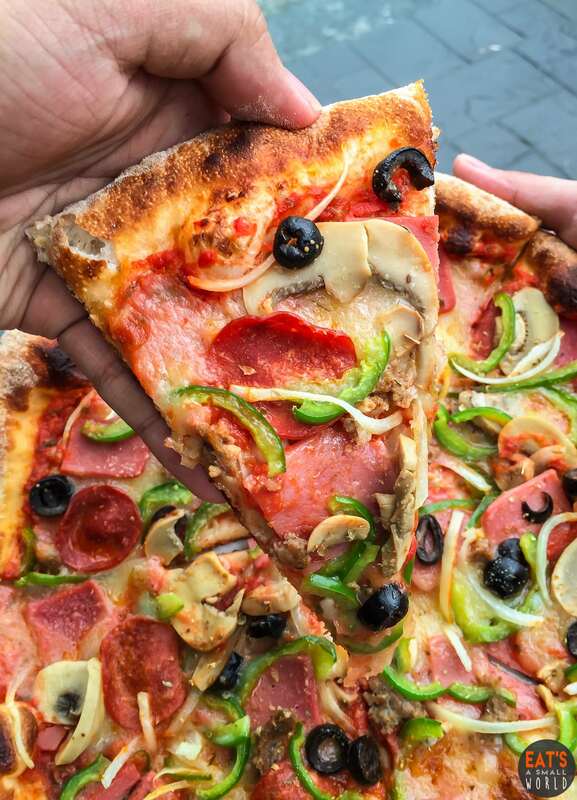 On this new IL Supremo pizza by Amici, they made sure that one will definitely have a taste of almost all the toppings every pizza lover dreams of: loads of Italian sausage, ham, pepperoni, mushrooms, bell peppers, onions, black olives, anchovies, mozzarella and parmesan cheese. 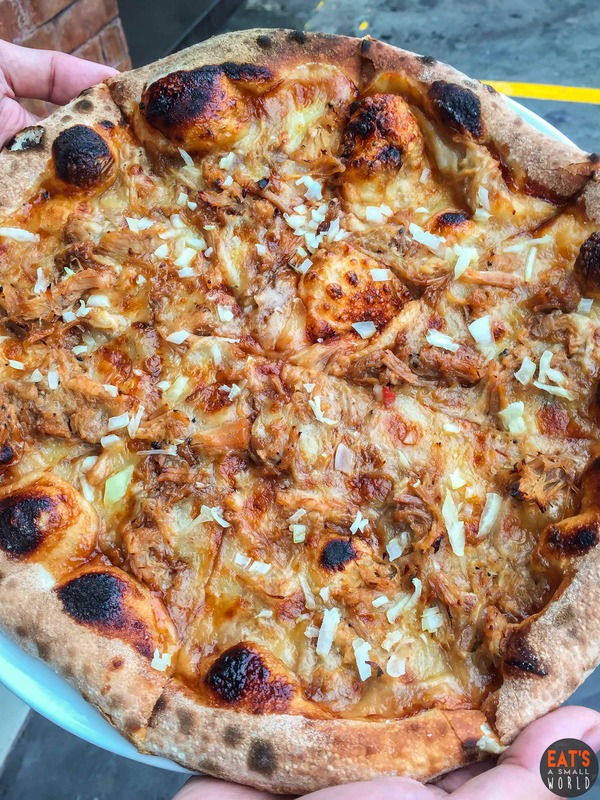 This pizza has pulled pork in Hickory BBQ Sauce and topped with fresh onions. The strong and mouthwatering barbecue flavor is an all-time favorite to many, to millions as a matter of fact that I wouldn’t wonder if this variant becomes a “box office hit”! 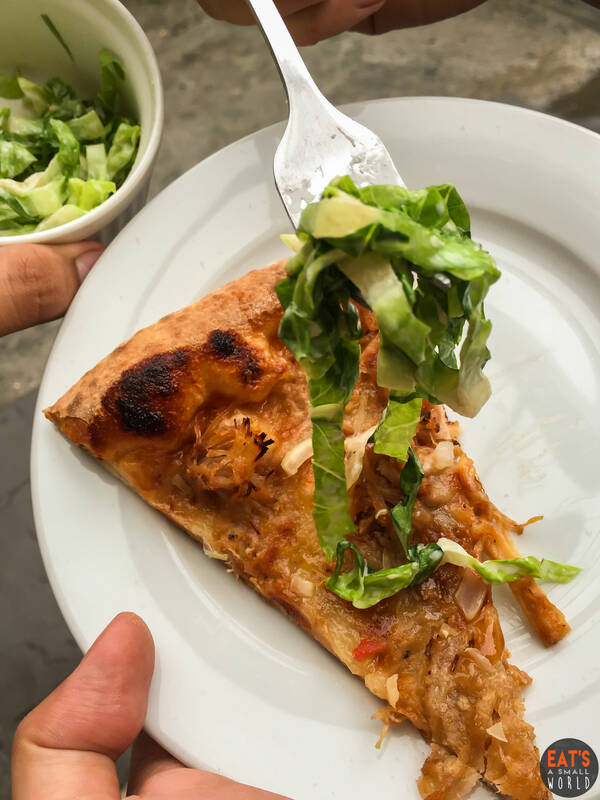 I love this idea of having the freedom to put chopped lettuce on my Smoked BBQ pork pizza. The overall taste becomes different after putting some greens. It kind of balanced the sweet taste of BBQ and white onions and added texture with its crispy fresh goodness. I really like it! 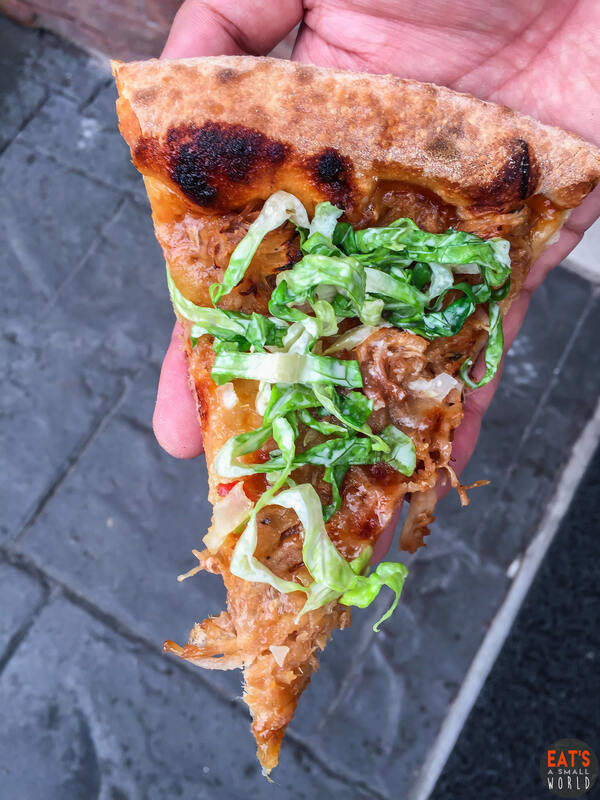 My new favorite slice will always be the Smoked BBQ Pork Pizza. This pizza on the other hand has a balanced sweet and spicy taste. 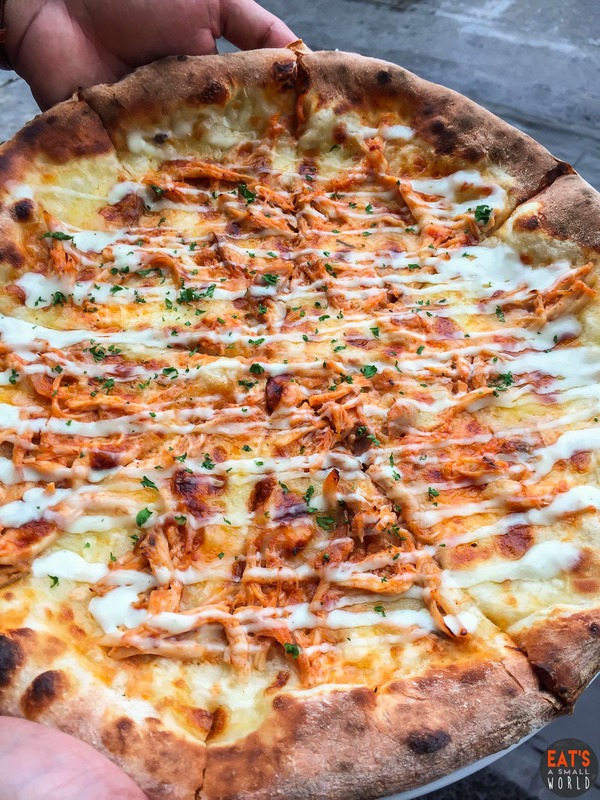 It’s topped with shredded chicken in honey, butter & sriracha, and drizzled with Blue Cheese sauce. I love the tangy taste of blue cheese. Now I am really having a hard time choosing which will be my favorite! 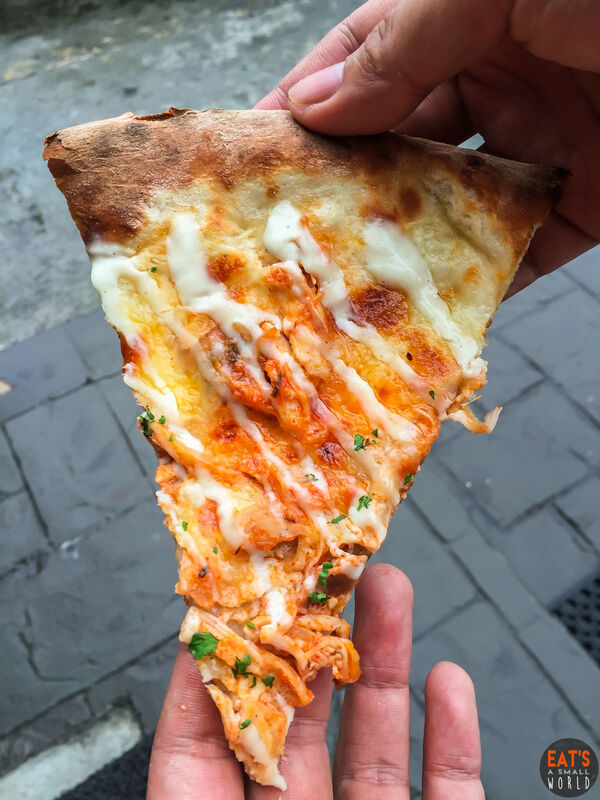 Each slice looks simple but the drizzled sauces are the ones making it so special, especially the rich aroma of the blue cheese and the spiciness of sriracha. It’s a unique and a must try treat! 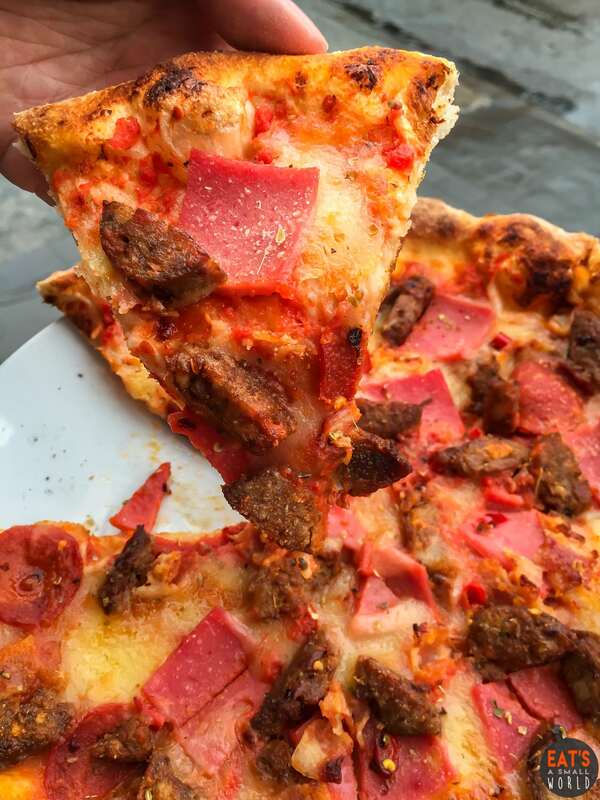 An all meat pizza with an awesome spicy kick. Toppings are spicy Italian sausage, bacon, pepperoni, ham, mozzarella and parmesan cheese. I love spicy foods. And when it comes to spicy pizza, well, count me in too! I love this meaty and spicy approach by Amici, there is no need for me to add chili flakes and hot pepper sauce. This is not new from Amici’s menu but I don’t really want to miss this one out. 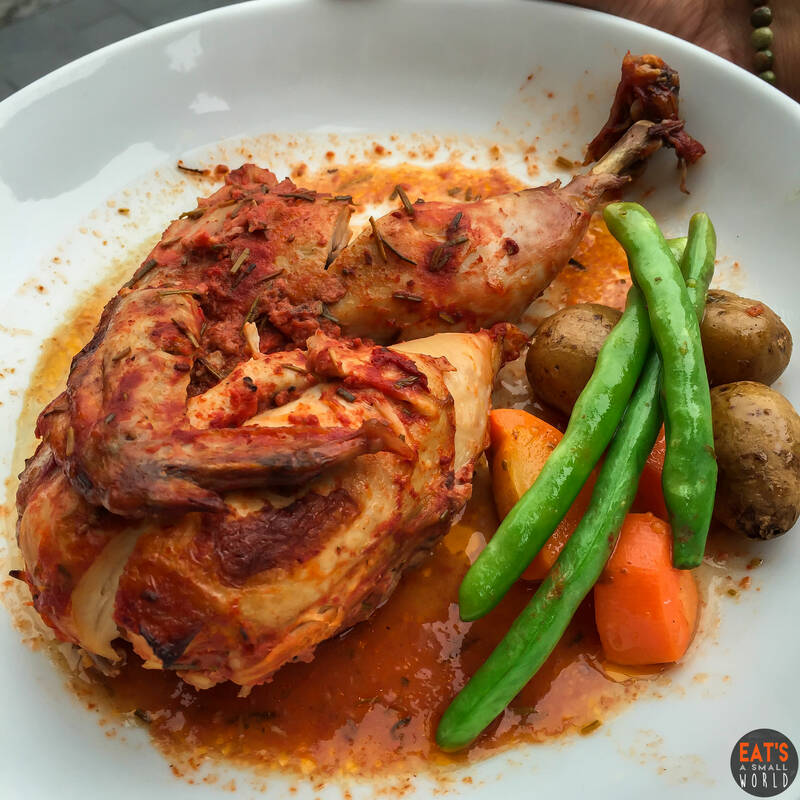 I like it because of the tender baked chicken with lots of rosemary on it. There’s fresh veggies on the side and baby potatoes for your carb needs. What a complete meal! 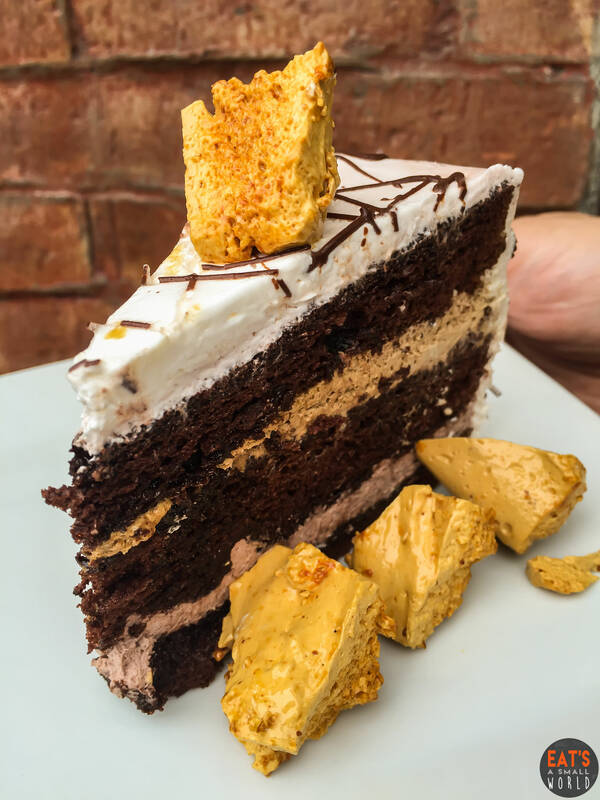 For dessert, we got to try the newest offering of Cara Mia. The cake was made with chocolate chiffon and layered with choco and coffee cream. It was love at first bite. On the other hand, the crunchy honeycomb was super sweet for me so I have to make sure I only eat small portions per bite but my team mate who has a sweet tooth adored this. This is really a must try! The cake itself (combination of chiffon and cream) was super delicious and I must admit, it’s something that I would love to have for my birthday. Isn’t this picture colorful? The multitude of colors define the various flavors that await your palate. 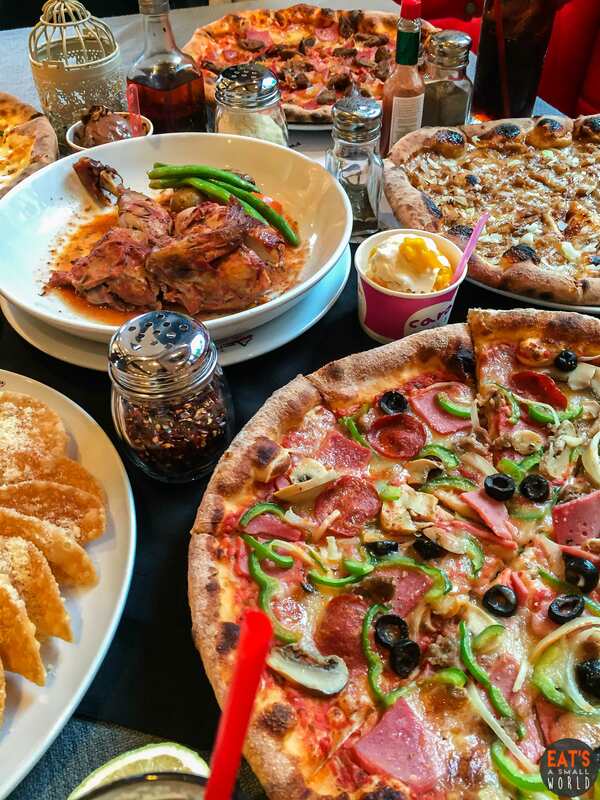 Truly, it’s always a feast whenever we dine here at Amici. I love the new pizza creations but my new fave is the smoked BBQ pork pizza where I get to put chopped lettuce by myself. Everything is made fresh and served super hot — we are super impressed! Each pizza is best shared with 2-3 people. I really admire their passion in serving authentic Italian foods for the Filipino families and because it’s affordable, I will always keep on coming back. I can’t wait for the next batch of new products soon! Note: This review is the opinion of the author based on actual experience. The establishments may have changed in terms of ownership, prices, decor, service, food preparation and food presentation after the posting of this review. This is not meant to influence the reader’s decision.